And there's humor. Lots of it. 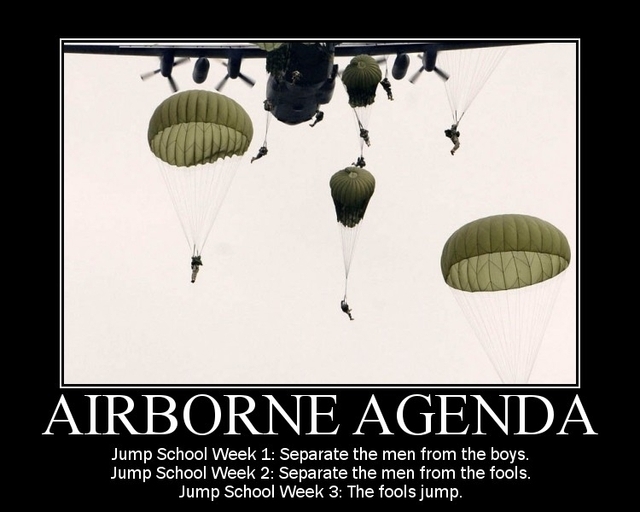 When I attended jump school more than 25 years ago, there was a saying among non-paratroopers that ground week separated the men from the boys. Tower week separated the fools from the men. And during the third and final week, the fools jumped. Of course, it was all light-hearted jabbing and a bit of sincere professional jealousy. 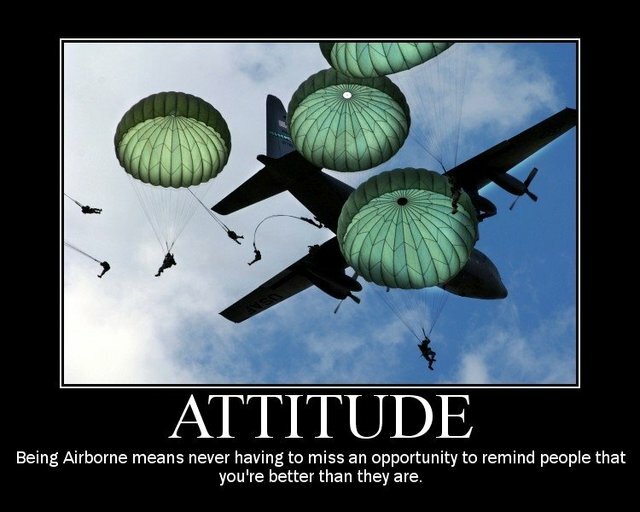 We knew then – as every soldier, sailor, airman, and Marine knows today – there is something special about a combat-trained parachutist or paratrooper, something uncommon that sets him apart from the ordinary foot-soldier. After the jump, today violating our own foul language rules (AWTM! ), is some NSFW Airborne humor.